Pixeno is a small web hosting company based in the UK. It was built by a small team of web designers and developers, because we got bored of having the same poor service from the big web host’s out there. We have 2 web hosting accounts up for grabs! Each account will be absolutely FREE for 6 months in total. If then you wish to cancel your account, feel free to do so. But we can personally GUARANTEE you will love our service! Just comment on this post saying if you were one of the winners, what package you would choose and what you would use it for. All comments will be accepted until April 29th, 2011. Winner will be announcing on April 30th, 2011. Make sure to leave a valid email address so I can contact you if you win. Two winners will be chosen using Random.org’s List Randomizer after the contest ends. I would have gone for roar because it suits my portfolio requirement. I want to advice all the readers that always buy UK based Hosting because it’s reliable, supportive and rare down time. This is amazing, even if I don’t get picked, I’m going to buy a web hosting account! I would buy the Roar Package. I want to start a business (web hosting) and I also have friends that need web hosting too. I can host their websites to get my feet wet and I can finally start my blogging website for designers and web developers. I have a slew of resources (bookmarks, twitter favorites, RSS feeds) that I want to share with the design and web dev. community and this package would kill many birds with one stone. A perfect solution. I need the hosting for my personal portfolio, therefore i would only need the light version of the hosting. Thanks a bunch! This is the best giveaway jet. I really hope i win. I’m looking for a good webhost for my little business I’m starting up. My current one is not all that good. I would use it to put my new portfolio online. I think ignite would be the best choice for me. Because I have a couple of other sites to host. 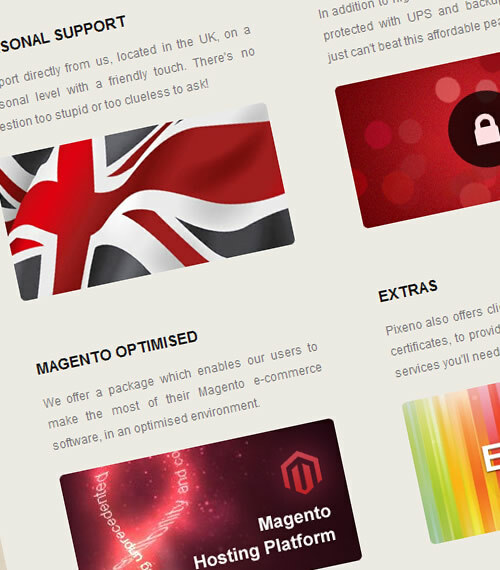 If I were lucky enough to win, I would choose the Magento package so I could launch an Ecommerce idea I have been kicking around for a while in my head. i would have gone for the ignite package, as a web developer, the projects that i am working on currently, that package would have been sufficient. i don’t make websites with lots of images and fancy designs, just like keeping things simple and beautiful and easy to use. so for me the ignite package is the one. I would go for Light pack as I will be shifting to a new hosting service and I find UK based hosting more reliable compared to others. I will choose the Magento package if I won. I have been writing reams of mathematics guides for high schools and it will be great to sell some of them exclusively. With a huge storage space, I can upload many videos and write commentaries and opinions anytime. If I win, I’ll chose Magento, because it’s awesome! Roar is adequate for my personal blog. Thanks. Hi, Are there suppose to be any announcements? When are you going to hold an event like this again? I want those free web hosting accounts, like I know many others do. topic, it might not be a taboo matter but typically folks don’t discuss these issues. 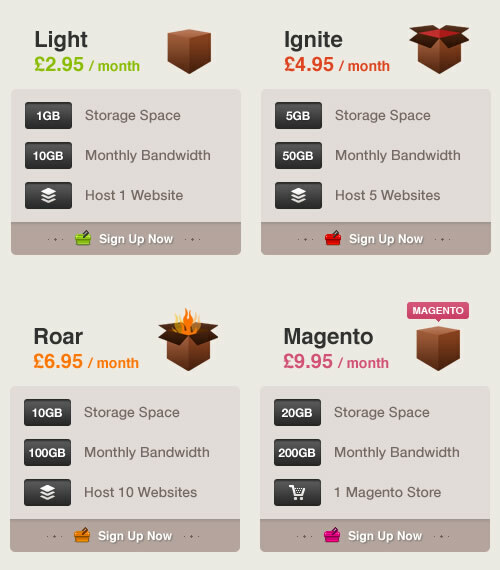 Pixeno is a small web hosting company based in the UK. It was built by a small team of web designers and developers, because we got bored of having the same poor service from the big web host's out there.